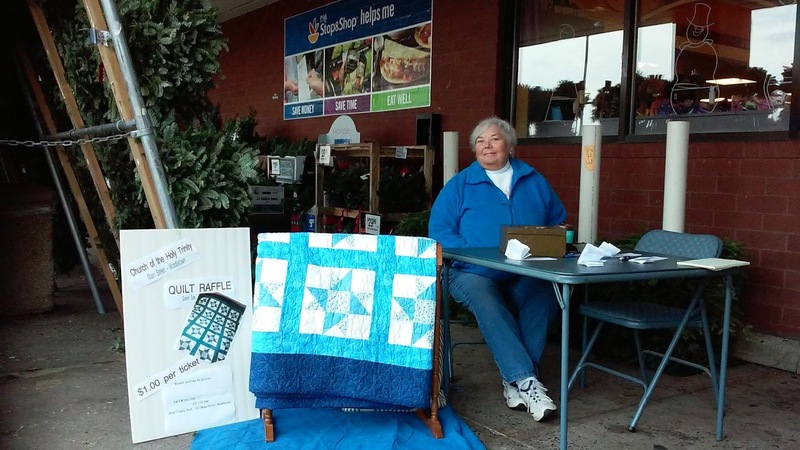 Last week, after exiting Stop and Shop, I met Sharon Sneedy, who was manning a table outside the entrance, selling raffle tickets. 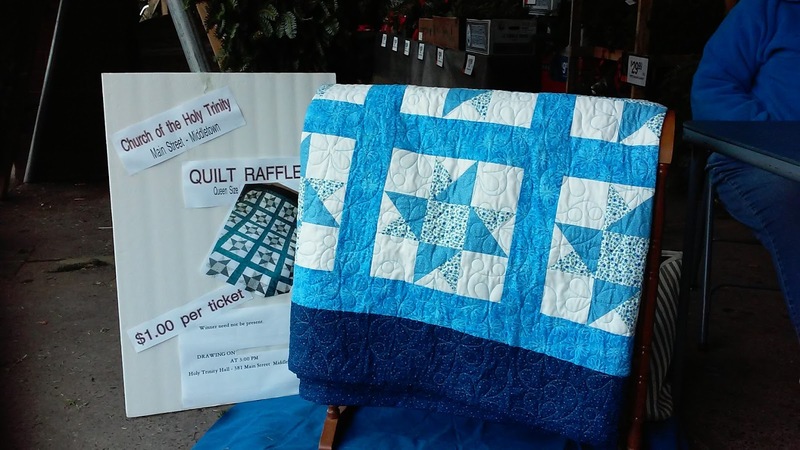 On display was a very lovely quilt that is up for raffle at the Holy Trinity Holiday Fair. Sharon selling raffle tickets, $1 ea. Built between 1870 and 1874, Middletown's Church of the Holy Trinity, located at 381 Main St. in downtown Middletown, is having its annual Christmas Holiday Fair on Saturday, December 5th from 9:00 AM to 3:00 PM. The fair is a great opportunity to find wonderful gifts for those on your shopping list! Two floors of the parish hall will be filled with craftsmen and vendors. Their wares include baked goods, (including cookies by the pound), Vermont Sugarbush gourmet cheeses, Christmas ornaments, hand-knitted items, and jewelry. Also to be had, are gift baskets of all kinds, Amaryllis bulbs and plants, fresh greenery centerpieces and a tag sale. For the kids, there are face painting and craft tables. This is the quilt that is being raffled off. Topping things off is an auction for an African safari! From 9:00 AM until 2:00 PM, lunch will be served featuring hot dogs, clam chowder, desserts and beverages.